동학농민운동의 지도자인 전봉준(1855-1895)이 살던 집이다. 몰락한 양반 가문에서 태어난 전봉준은 조선 고종 27년(1890)에 동학에 몸을 담아, 동학 제2대 교주인 최시형으로부터 고부지방의 동학접주로 임명되었다. 그는 관리들의 횡포에 맞서 농민과 동학교도들을 조직해 동학 운동을 주도하였다. 이 옛집은 조선 고종 15년(1878)에 세워졌다. 앞면 4칸·옆면 1칸의 초가집으로 안채가 구성된 남향집이다. 동쪽부터 부엌·큰방·웃방·끝방 순서의 일(一)자 형태로 구성되어 있는데, 이는 우리나라 남부지역 민가 구조와는 다른 방향으로 되어 있는 특징을 보여준다. 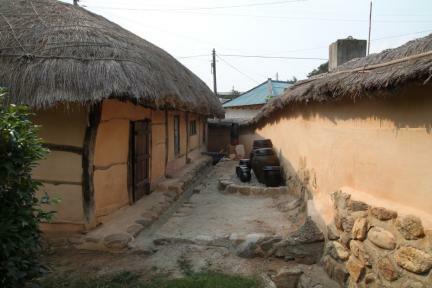 This is the house of Jeon Bong-jun (1855-1895), the main leader of the Donghak Peasant Movement. In 1890, the 27th ruling year of the reign of Emperor Gojong, when he was in his thirties, Jeon Bong-jun who had been born into a family of an impoverished aristocrat, joined Donghak, which was a movement that advocated social justice by mixing three religions, Taoism, Confucianism, and Buddhism. He was appointed as Jeopju (responsible priest) to Gobu region by Choe Si-hyeong, the second leader of Donghak. He led the movement, organizing farmers and other followers against overbearing officials. 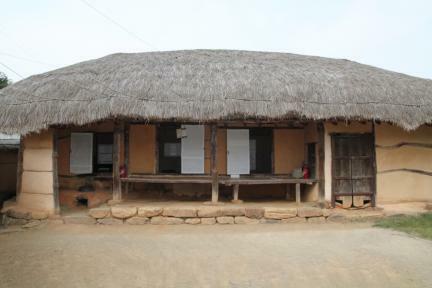 This thatched house was built in 1878, the 15th ruling year of Emperor Gojong’s reign. 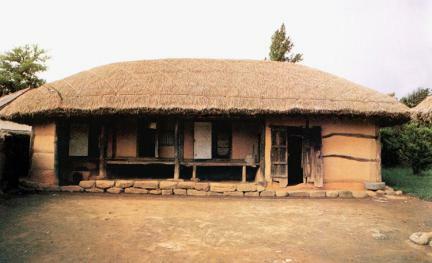 It had four rooms at the front at the front and one at the side, and the inner house was built facing the south. 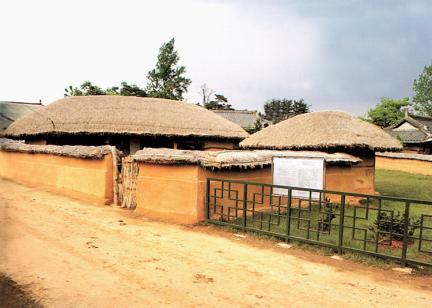 The kitchen, main room, upper room and end room are arranged in a line from the east, an orientation which is is different from that of the average house in the southern area.